Catch the big game this Sunday at Resorts World Casino. On February 3rd at 5 p.m., at the Central Park Event Space, guests can watch the New England Patriots take on the Los Angeles Rams in the Super Bowl. The 50,000 square foot event hall on the casino’s third floor is the perfect place for a viewing party. 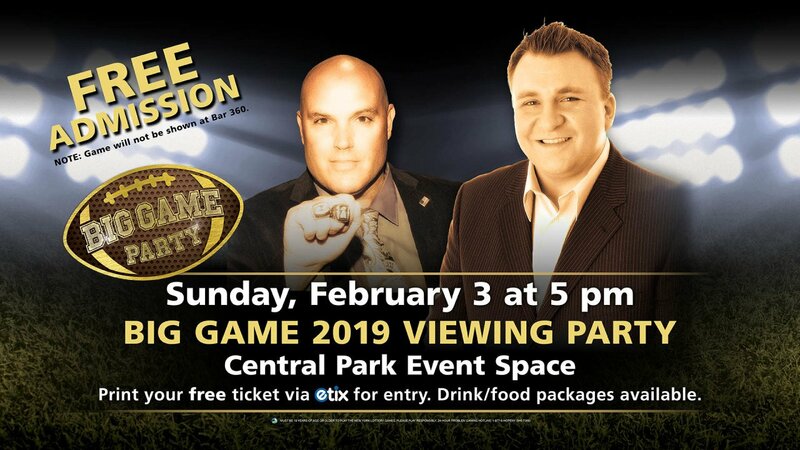 The event will be co-hosted by former NFL players Sean Landeta and March “The Moose” Malusis, who will provide live commentary. The event is free, but all guests must have a ticket. VIP tickets are on sale, which comes with two drink tickets, two food vouchers and guaranteed seating.